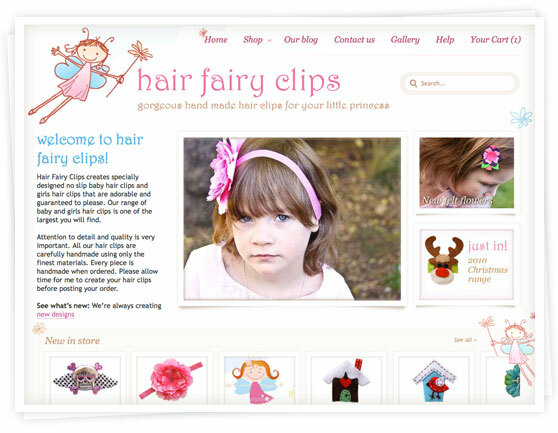 We’ve just finished a re-design of the Hair Fairy Clips store using the new Georgia Theme. If you’re interested in getting us to modify a theme for use in your Spiffy Store, it can generally be done in about 2 weeks and will cost you from $70 for a few changes up to $450.00 for a complete overhaul. Contact us today to find out about our store design service. eCommerce accounting made easy with our QuickBooks app.